WitMonki is a French e‑health startup composed of physicians, engineers and scientists. Based in Marseille (France), we bring together all the required expertise to carry out our mission. Cardio and Neurovascular diseases represent the second cause of mortality in France, after cancer, with 140000 deaths per year. With a very small form factor, the WitCard is a card that allows to measure one lead electrocardiogram (ECG) and allows a day by day follow-up of patients with cardiovascular disorders. The ECG measurement is performed by the patient in just a few seconds, by simply touching the electrodes of the WitCard with both thumbs and one index. The ECG signal is then automatically stored on the WitCard which may contain more than 100 of them. 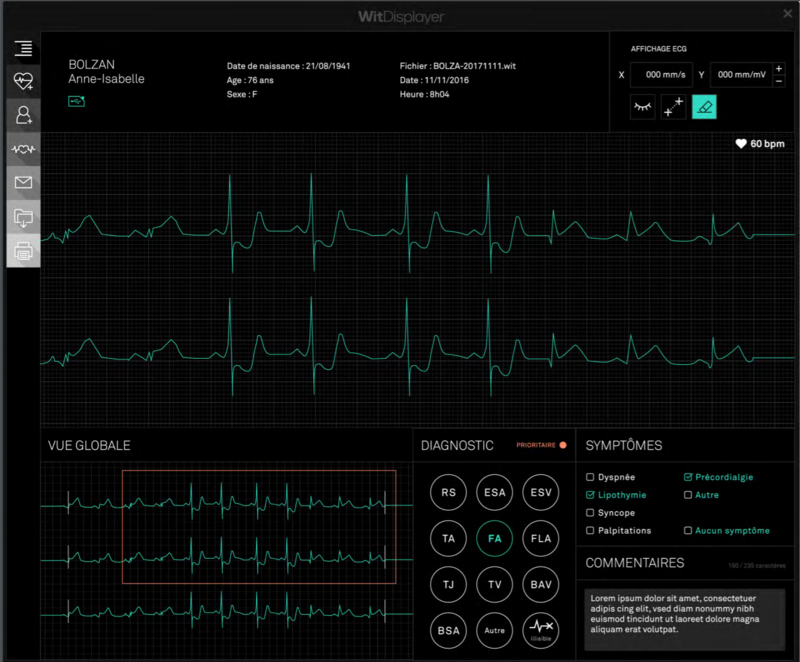 The multiple ECGs recorded according to a medical prescription are extracted from the WitCard and viewed by the doctor with the provided software called the WitDisplayer. 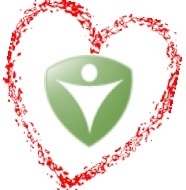 The doctor can then diagnose the observed cardiovascular disorders. Since it has been launched, WitMonki is supported by public and private organizations. Because health is a matter for everyone, we have gathered our skills and those of our expert partners in order to address the challenges of today and tomorrow. You want to contribute to the growth of a young startup and revolutionize the medical practice? If your profile matches the current offers, do not hesitate, join us! Your profile does not appear in this list? We will soon be looking for new profiles in the areas of software development, connected objects and data sciences. If you are interested, do not wait, contact us! © 2017 WitMonki SAS. All rights reserved.